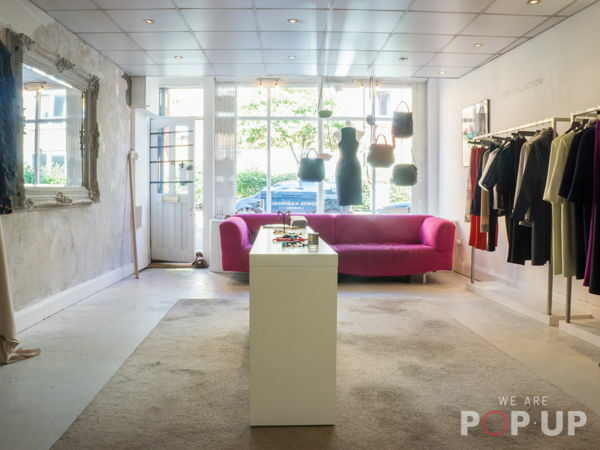 The shop is located in the heart of Bermondsey street, which is a quiet and elegant area is a renewed destination for art galleries, gourmet restaurants and independent boutiques. Amanda Thompson Couture is a womenswear atelier which offers both a pret a porter collection and one off couture garments for every occasion. It is a quintessentially British brand that celebrates the female form with simple elegant cuts that accentuate the body. The shop has a shop window facing the main street, a retail area and a couture workshop at the back. There are rails and shelves on the two sides and a table in the middle.The two white shelves are located above the rails. Ideal match: simple and elegant women's accessories including sunglasses, bags, clutches, scarves, jewellery, shoes and swimwear. They are interested in shared promotion, launch reception and other events. The shop is closed on Monday. If you're interested in our other availabilities, please check more of our listings! This rental is only available via We Are Pop Up. 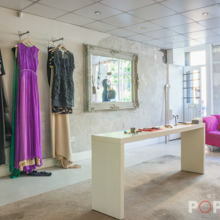 The shop is located in the heart of Bermondsey street, few minutes walk from London Bridge, Tower Bridge and the Shard. The quiet and elegant area is a renewed destination for art galleries, gourmet restaurants and independent boutiques. The clients are a mix of professionals and families. 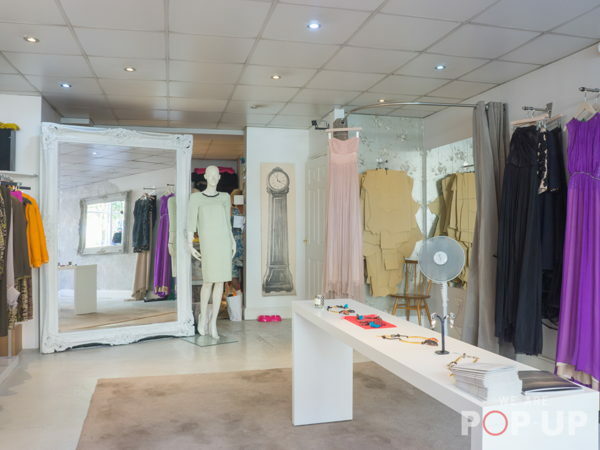 Nearby there are design shops, florists, toy shops, independent cafes and boutiques. Amanda Thompson Couture is a womenswear atelier which offers both a pret a porter collection and one off couture garments for every occasion. It is a quintessentially British brand that celebrates the female form with simple elegant cuts that accentuate the body. Amanda's ethos is less is more. Luxury fabrics and simple designs are the heart and core of the brand. 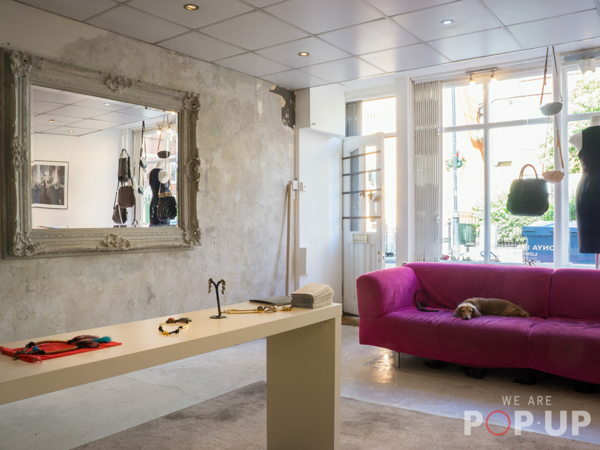 The shop has a shop window facing the main street, a retail area and a couture workshop at the back. There are rails and shelves on the two sides and a table with accessories in the middle. They can hire shelves, rails, tables or also one area of the shop (half of the retail area). Ideal match: simple and elegant women's accessories including sunglasses, bags, clutches, scarves, jewellery, shoes and swimwear. They are interested in shared promotion, launch reception and other events.